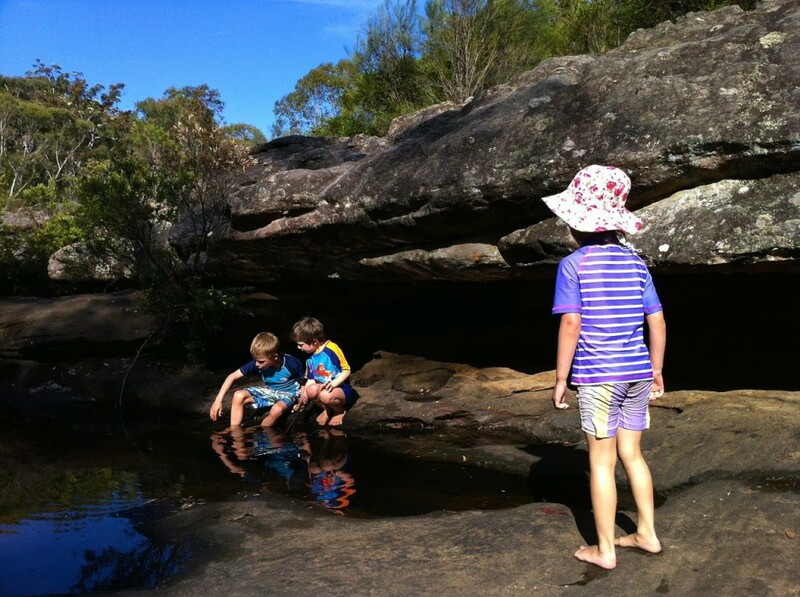 I can think of few happier moments than watching my daughter Marilla, aged 5, and her friends clamber over rocks in Heathcote Creek. We were all there on our first overnight hike together (with my friends Garry and Ricardo). Why was I so happy? Because it was the children who had set the own agenda for that morning’s play. 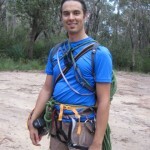 They were exploring a rugged environment full of both risk and reward. It was primeval. It was beautiful and all I’d done as a parent was take them there and let them be. Could they have slipped over? Sure. Could they have broken a leg? Yes, though a scraped knee was more likely. What was certain, however, was that they were learning fundamental survival and social skills, not to mention thinking creatively. And they were having a great time too. We were actually outdoors in a wilderness environment (albeit one only an hour’s walk from a train station). We weren’t setting any rules about what the children could and couldn’t do, other than getting too close to a rock ledge: they were allowed to exercise judgement in the face of risk. 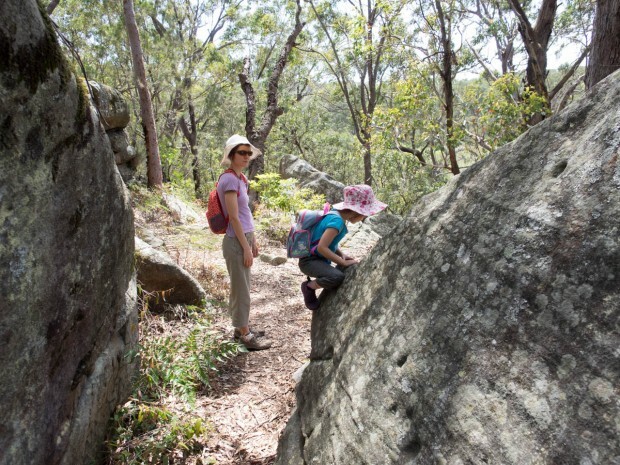 Intuitively, getting children outdoors in “risky” situations seems like a no-brainer. 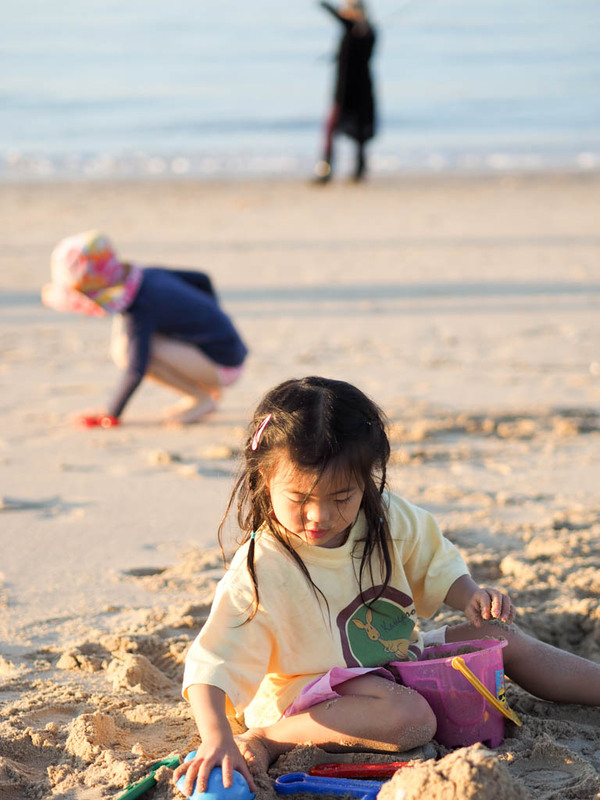 From an environmental perspective, children who have a connection to nature are likely to care about it. They are more likely to take on the role of custodians that as a species we seem to be shying away from en masse. But the benefits are personal too. 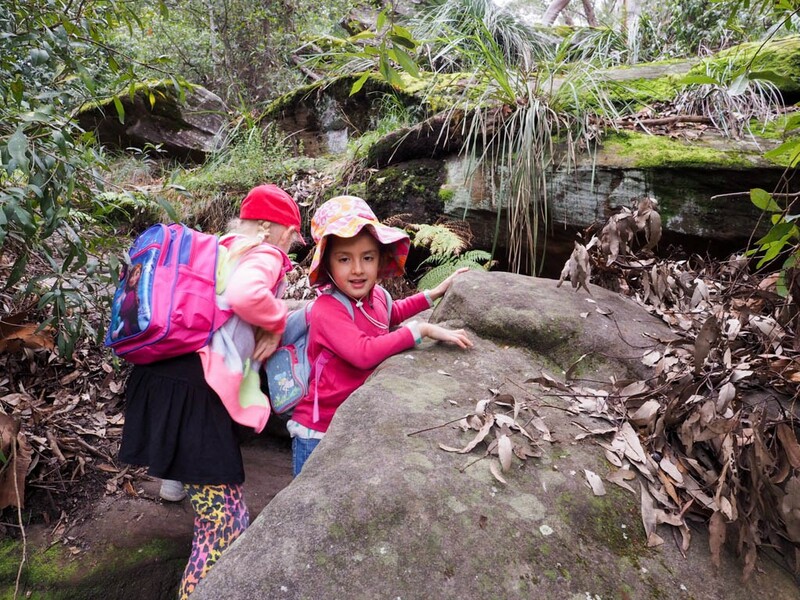 As Louv, the writer who coined the term ‘nature deficit disorder’, suggests, this outdoor education doesn’t have to be in a wilderness area either. In fact, it could even be on your own street. 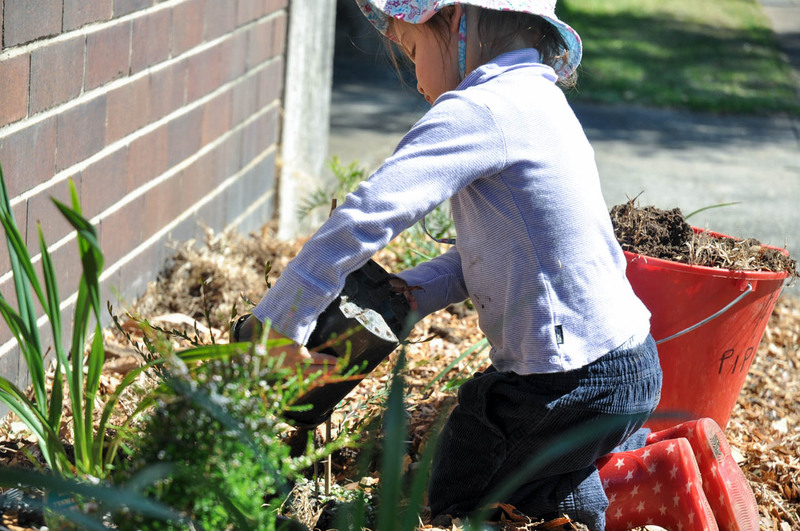 Gardening out the front of the house: an easy way to get outdoors. Does this mean parents should loosen up a bit? Absolutely. Does it mean that we should let kids go to pasture? No – but we need to keep the risks our children face in proportion and understand the dangers of raising kids in a risk-free setting. 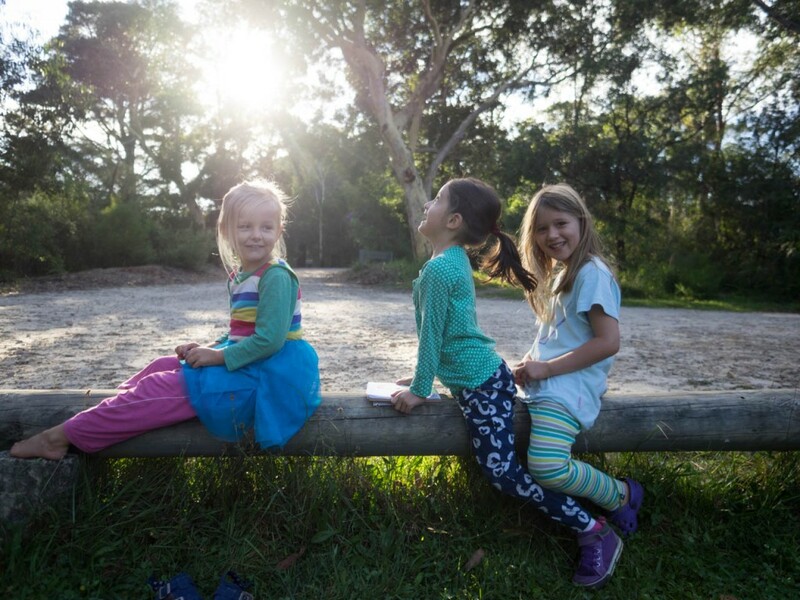 The University of Sydney’s Playground Project states that a consequence of risk aversion is that children can lack physical and emotional challenges, giving rise to undesirable behaviour such as bullying. Negotiating (slightly) risky terrain in Georges River National Park. Risk aversion can give rise to undesirable behaviour later on in life. The long-term consequences of risk avoidance are still not well understood. A lot of the research is actually centered on the benefits of free play (that is, play free of adult influence). However, it seems to me that the ability to make your own decisions in free pla is also the ability to take risks, to experiment with cause and consequence. Part of this is the freedom to make mistakes and learn from them. It’s also critical to learn how to negotiate fear and adversity. And let’s face it, if life isn’t easy as a kid, it sure ain’t easy as an adult. 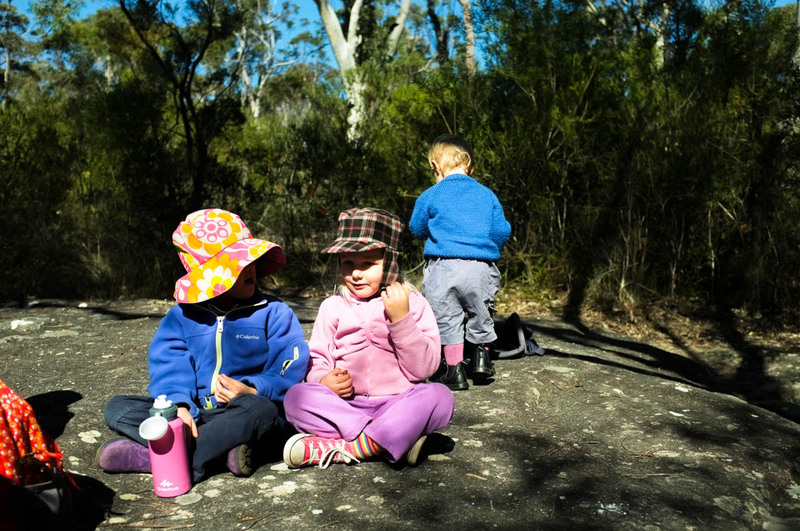 There are lots of ways you can do this, but getting your kids outdoors and leaving them to their own devices is, to quote Marilla, easy-peasy, lemon-squeezey.